Summertime at the beach. Salt spray in the air. The warm sun on your skin. And the sounds of the carnival rides and laughter. And what’s what you smell? 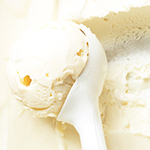 Vanilla ice cream. 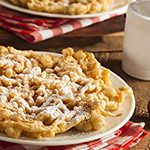 Funnel cake. And everything else that your inner child longs to enjoy. Our best selling Salty Sea Air is blended with an equal amount of Funnel Cake and Vanilla Ice Cream to create the magical scent of a carnival by the ocean. Ideal for both wax scenting as well as a B&B line. This could make a fun and unique perfume as well as a fabulous soap and lotion. Yummers!